My question is; do online teeth whitening tricks really work? Put a tiny bit of toothpaste into a small cup, mix in one teaspoon baking soda plus one teaspoon of hydrogen peroxide, and a half teaspoon water. Thoroughly mix then brush your teeth for two minutes. Remember to do it once a week until you have reached the results you want. 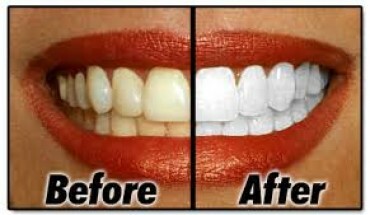 Baking soda/hydrogen peroxide is a home remedy for whitening teeth. These materials, like all whitening materials, are not meant to be ingested so make sure you spit after brushing. This method will take longer to achieve results than other methods of whitening. As with all whitening materials, this will not change the shade of any crowns, veneers or fillings. The results will not last as long. In the case above, following the teeth whitening instructions probably would yield short term results. But you might be disappointed at how long it takes to achieve the desired results and at how quickly your hard work fades away. Your best bet long term is to discuss more effective (and often quicker) teeth whitening options with your dentist.